The branch was represented at a moving vigil on Monday 18th March to remember all those who lost their lives in the terror atrocity in two mosques in Christchurch New Zealand and to stand together with our Muslim communities. 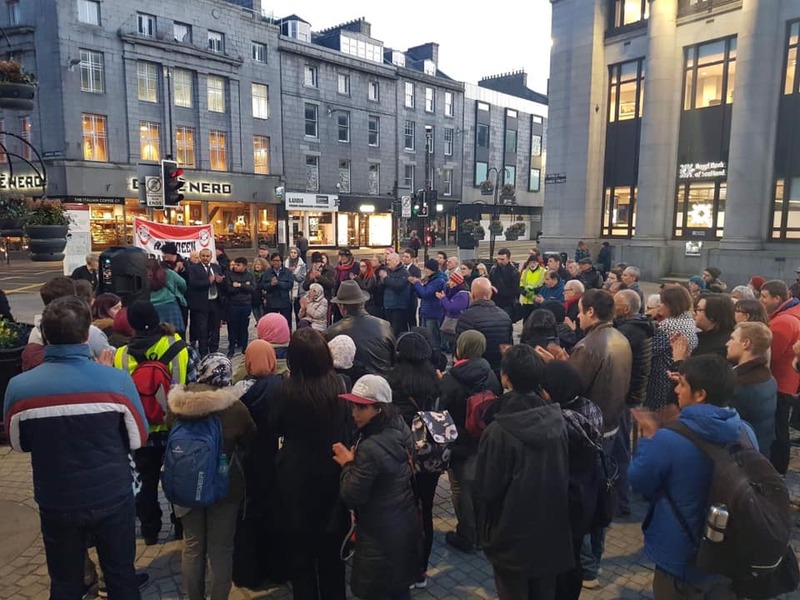 The vigil, attended by over 100 mourners, was organised by Aberdeen Trades Union Council. 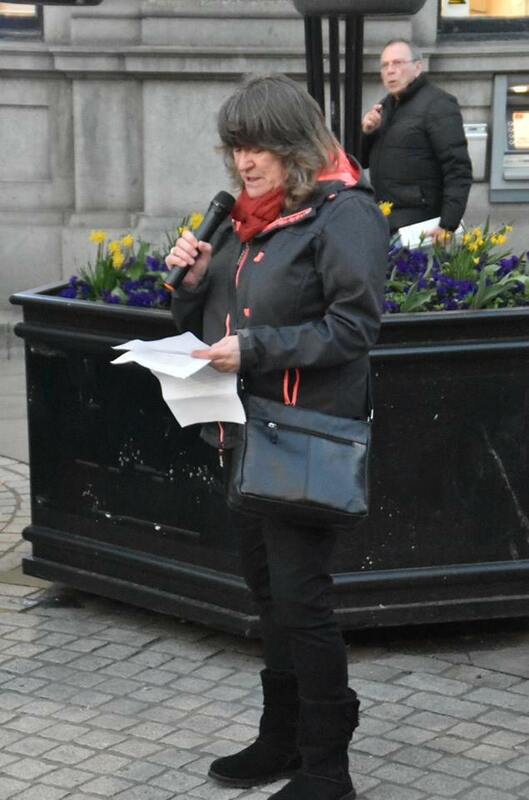 Aberdeenshire UNISON is affiliated to the ATUC. Kate Ramsden, Branch co-chair was one of the speakers at the event. Kate spoke of the sadness, anger and other emotions we all feel at this senseless act of hate. She condemned the right-wing rhetoric and policies of the Tory government for creating fertile ground for the rise of the far right. “If the terrible events in Christchurch tell us anything it’s that instead of judging we need compassion; we need to be able to walk a mile in each others’ shoes; we need to work together to combat the rise of extremism. “Those of us here tonight – we share each other’s sadness at such a brutal loss of life; we share each other’s anger at the rise of hate and extremism that resulted in this terrible atrocity.